Bring some glamour to your bathroom with this pink colour bath mat 2 piece set. This striking piece features plain pattern with polyester fabric that bring a plush softness to your feet, high durability and resilience. It is a perfect combination of colour and pattern so you can easily coordinate this alluring accessory with your existing home decor. 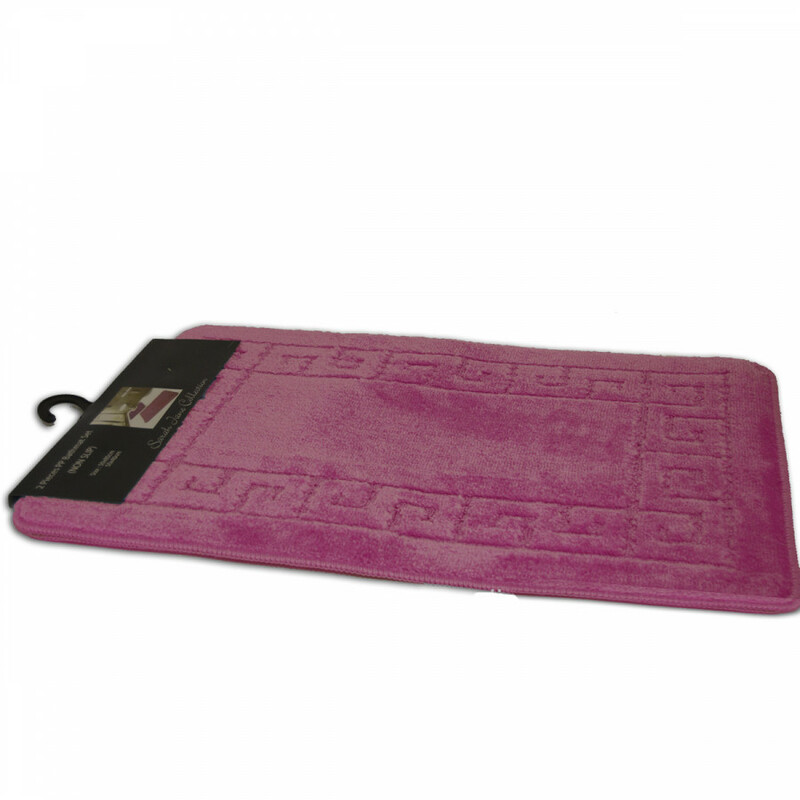 Our non slip bath mat is machine washable and comes in size of 50cm x 80cm.